Anandpal was a Ravana Rajput, a community born from the concubines of Rajputs and regarded as inferior by the Rajputs, especially for matrimony. When Anandpal Singh was gunned down in a controversial police encounter last month in northern Rajasthan’s Churu, he was a dreaded gangster with six murder charges and little social traction. But in a month, the 45-year-old has been transformed into an icon who has galvanized the influential Rajput community. Rajput bodies across the state have blocked roads, vandalized public property and demonstrated against police to press for an inquiry into what they allege was a staged encounter. Community bodies such as Shree Rajput Sabha, Rajput Karni Sena and Pratap Foundation have joined the protests. with Aditi Rao Hydari and Jim Sarbh in supporting roles. Initially scheduled for 1 December 2017, the film's release has been delayed indefinitely because of the pending approval by Central Board of Film Certification. Bhartiya Janta Party as seen today is the Party with Most Educated people ever in the history of Indian Constitution. They will know when to take the political advantage which can be seen after Political Shift in Bihar. Whatever the case may be in Bihar, but BJP has somehow lost its hold over some people after the radical decisions of Demonetization where GST stands in the queue waiting for the results. Concerning the lost support among Rajput community after the encounter of gangster Anandpal. This step is however worth taken in order to control crime in the country. 'Control on the guns and crime' has been done effectively by the Indian Government talking of Jammu & Kashmir and Uttar Pradesh. But this encounter has seen taken the different turf as Rajput Community, Shree Rajput Sabha, Rajput Karni Sena and Pratap Foundation have joined the protests against the Anandpal Encounter. As for upcoming By-Elections 2017 in Rajasthan and State elections in 2019, the Rajput community holds a large number of voters. 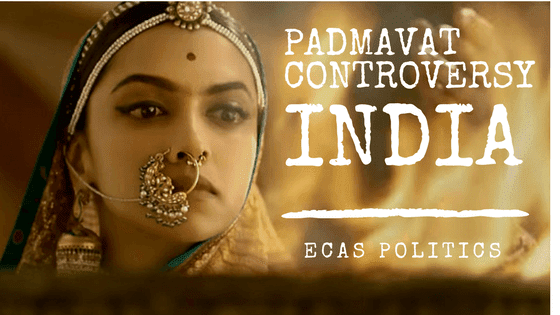 This was seen as taking advantage of the 'Padmavati Controversy' to gain the votes of Rajput Community.